In Water Rites: Reimagining Water in the West, editor Jim Ellis has assembled scholarly writing, insightful commentary, and engaging visual imagery to better understand the myriad human connections to water in Alberta. Though geographically focused in its content, the conceptual terrain covered in this visually appealing volume should be of interest to both scholarly and lay readers interested in water issues in Western Canada and North America. Interspersed with full color photographs, maps, and artwork, the chapters from fourteen contributors address a wonderfully wide range of water-related topics. 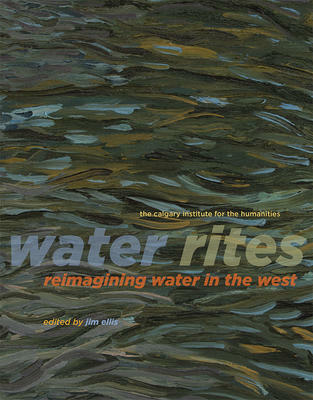 The volume’s subtitle aptly reveals one of the key contributions of the work: in approaching the topic of water from the perspective of both “rights” and “rites”, the contributors reveal the ways in which water is not merely a resource to be rationally managed and governed, but is simultaneously entangled with the cultural imaginary, the political, and the spiritual. Ellis’ well-curated collection was inspired by the proceedings of the Calgary Institute for the Humanities’ Annual Community Seminar of 2017, which carried the theme “Water in the West: Rights of Water / Rights to Water.” At first glance, Water Rites seems to address the standard litany of water issues: water law, collaborative governance, climate change, justice and inequality, and deteriorating water quality and quantity. Though these may be the “usual suspects” for a book on water, it is the interdisciplinary and humanistic approach, clearly rooted in a strong sense of place, which makes for enjoyable and engaging reading. In his introduction, Ellis asserts, “All of these water issues are connected, and point to our own connectedness: the flow of water connects human activity all along its course, affecting all life forms downstream – whether they be human, animal, or plant. Water visibly reminds us of our connections, as well as our responsibility, to those that share the same watershed” (xv). This sense of connection and holism pervades the chapters as topics are brought to life through varied and positional experiences of water – emotions, senses, identity, and memory complement the more traditional academic writing found in the volume. As an example of the breadth of approaches, Helen Knott grapples with what it means to be an Indigenous activist and community member in the face of dispossession from the land and nature itself, while Adrian Parr reminds readers that water is just as much a site of political struggle as it is an ecological resource. I particularly enjoyed the thought-provoking set of photographs and writings exploring the City of Calgary’s Public Art Program, which sparks an interest in where the common municipal water comes from, how it travels, and how experiences are shaped by that shared water. As Ellis observes, “Science can offer proof of climate change, the humanities can explore and expose its human dimensions, and art persuades us on a different – and arguably more fundamental – level, intervening in the imagination. All of these approaches are necessary and complimentary” (xvi). Film stills, two appendices detailing UN declarations on human and Indigenous rights to water, and detailed bibliographic notes complete the well-rounded work. Significantly, First Nations perspectives are given a strong voice in this volume, which greatly contributes to existing literature on water issues in the West. Additionally, there is engagement with the pressing topics of a political landscape increasingly dominated by neoliberalism. Approaching Water Ritesfrom the perspective of an American, I found the text accessible, informative, and inspirational in spite of my limited knowledge of the specific region. Scholars with a background in water in the American West will find material here that enlarges the scope of water in “the West”, while also receiving a critical introduction to water issues bound up with Canadian laws and policies. By incorporating narratives documenting both pressing problems and collaborative solutions, the volume presents the reader with both a sense of urgency and the possibility of justice and change, bringing us one step closer to reimagining water in the West. 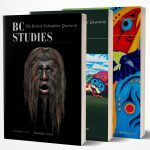 Calgary: University of Calgary Press, 2018. 168 pp. $29.99 paper.